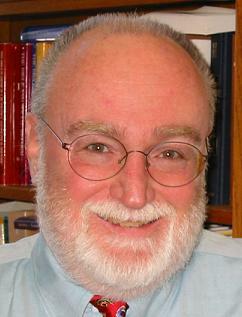 Eugene V. Gallagher is the Rosemary Park Professor of Religious Studies and Faculty Fellow of the Center for Teaching and Learning at Connecticut College, where he teaches a variety of courses. He now chairs the AAR’s Committee on Teaching and Learning. He is the co-author of Why Waco? Cults and the Battle for Religious Freedom in America (University of California Press, 1995). Although very few religions, from well-established ones to fledgling groups, have escaped being associated with violence, none of the classic general treatments of religion puts violence at the forefront of their analysis. For the current generation of college students and teachers of religion, however, multiple incidents have forced the issue. But the fear, outrage, and revulsion that religiously inspired acts of violence often evoke can also serve as an effective point of departure from hich to engage students in the academic study of religion. Directly facing the issue of religious violence gives students and teachers a chance to consider significant topics in the general study of religion, such as the nature of religion itself, the power of religious motivation, how religious traditions can be appropriated for multiple uses, the uses and abuses of religious authority, and the ways in which both religious insiders and outsiders define the center and periphery of religious traditions. To promote “religious literacy” among students who are very likely to take only a single undergraduate course in the study of religion, we need to introduce analytical tools that can help them understand how religion can become so lethally entangled with violence. The topic of religion and violence can be incorporated into courses in many ways. I’ll describe three examples from my own teaching. First, it can be the focus of an entire course. Like many others, I offered a course on religion and terrorism in the wake of the September 11 attacks. The course eventually enrolled more than 10 percent of our student body and provided a continuing public forum for students and members of the surrounding community. It set the September 11 attacks in context by first addressing other examples of religiously motivated terrorism, including the Oklahoma City bombing, antiabortion violence, and Aum Shinrikyo’s gas attacks in the Tokyo subway. Mark Juergensmeyer’s Terror in the Mind of God provided both the organizational and analytical framework for the course. Students found that they could profitably extend Juergensmeyer’s analyses of terrorist acts as symbolic statements, deliberately constructed theatrical events, moments in a cosmic war, and opportunities for martyrdom to examples that Juergensmeyer himself had not covered. Another strategy is to incorporate a dedicated unit on religious violence in appropriate courses, as I have often done in my course on new religious movements in the U.S. Since so many observers have asserted a blanket association of “cults” with violence, it is very difficult to avoid the topic in such a course. Fortunately, scholars such as Catherine Wessinger and James R. Hall have devoted substantial attention to the topic. Wessinger’s How the Millennium Comes Violently, for example, offers both a descriptive typology of groups that may engage in violence and lists of factors that can lead a group towards violence or away from it. Putting the unit on “cults and violence” at the end of the course encouraged students to test the examples they had already considered against Wessinger’s analytical proposals. A looser approach is simply to be open to addressing the topic when it comes up, in meetings with either individuals or small groups. Over the last several years in our department’s team-taught introductory course, for example, we have asked students to write a five-page analysis of a recent news article that focuses on religion. Many of the students, probably more than half, have gravitated to topics that in some way have involved religion and violence, such as the ongoing abuse scandal in the Roman Catholic Church, various terrorist acts, and conflicts in Tibet, Israel, Ireland, India, and many other places. The topic has appeared with similar frequency in comments on class electronic discussion boards. In fact, because the news media frequently give stories about religious violence saturation coverage, one of the most prominent things that undergraduates “know” about religion before they take any courses is that people who consider themselves religious are capable of doing some very bad things. That knowledge can effectively serve as a starting point for demonstrating how the academic study of religion can bring clarity, depth, and appropriate complications to students’ understanding of contemporary events and their historical antecedents. To do that, however, teachers of religion need to offer a comprehensive descriptive, analytical, and interpretive framework. Both of the fundamental terms “religion” and “violence” need to be clarified in ways that further the discussion of daunting and painful incidents such as the destruction of the World Trade Center and the abuse of young children by priests. Focusing on violent incidents can enable students to see how defining religion, for example, can have immediate and even practical consequences. Sorting out the ways in which Aum Shinrikyo’s attacks should, and should not, be considered religious acts can help students refine what they mean by “religion,” as can trying to grasp the apocalyptic calculus behind Timothy McVeigh’s bombing of the Murrah Federal Building in Oklahoma City. It can also lead them to appreciate the different ways in which “religion” is understood by actors in the events and by external observers. Accuracy in description also demands a more nuanced understanding of violence. For example, violent rhetoric, including vivid depictions of a divinely authored end of the world and lavish descriptions of the horrible fates that await those who have transgressed, is an inextricable element of religious texts in many traditions. Rhetoric, however, does not always inspire action. The potential relationships between violent rhetoric and violent action in religious traditions is one area for fruitful classroom discussion, especially when there is a mixed message in foundational texts, as when Jesus counsels his audience in Matthew’s gospel to turn the other cheek (Matt. 5:39) but a few chapters later declares that “I have not come to bring peace; but a sword” (Matt. 10:34). Our asking, rather than avoiding, questions about violence in religious traditions offers a point of entry into their complexity and human character. Posing such questions can lead students to appreciate how religious visions of the world are constructed, expressed, evaluated, and appropriated in concrete social and historical situations. It can switch the focus of classroom conversation from simply discussing what the authoritative texts of a tradition express to what people actually do with the religious capital that their traditions have built up. Those interested in normative questions from within specific religious traditions can also debate the relative orthodoxy of particular appropriations and expressions of their common tradition. Focusing on how people actually use their religious traditions can help students make other important distinctions. All violent acts are not the same, especially in relation to their motivating sources. Some violence committed by religious people should be considered merely episodic; its personal and social etiologies may in fact have little or nothing to do with an individual’s religious commitments and much more to do with specific medical, psychological, or social pathologies. It would therefore be inaccurate to characterize a religious group or tradition on the basis of such actions. Just because a person who commits a violent act has a religious commitment doesn’t necessarily mean that the act is an expression of that religious commitment. Other violent acts, however, may in rare cases actually stem from a theology of violence. In the 1980s, for example, an explicit theological program animated the crusade of the Silent Brotherhood, also known as The Order, against the “Zionist Occupation Government” of the U.S. Religiously justified terrorism would also come under this heading. Osama bin Laden, for example, justified his jihad in explicitly religious terms, avowing that the ruling to kill Americans and their allies was a duty for every Muslim. While Muslims and outsiders alike have asserted that “this is not Islam” to preserve religion in general or particular religions from the stigma of endorsing violence, they do so only by ignoring the openly declared reasons of those involved in violent actions. Still other violent actions may be viewed by their authors, at least, as defensive. Nearly all of my students have been surprised to find that Timothy McVeigh, radical abortion opponent Michael Bray, and Osama bin Laden, among others, argued that they were engaged in defensive action. Descriptive accuracy, however, demands that their reasons be thoroughly understood, even if ultimately they are condemned. Carefully describing the motivations, contexts, and consequences of violent actions, rather than ignoring them or blithely attributing them to selfevident psychological, social, or religious deviance, can help to train students in the basic skills of “close reading” that are useful not only in the study of religion but as part of students’ general education. The topic of defensive violence highlights another important dimension of the issue. For example, figures like Franklin Graham have not hesitated to brand Islam “a violent religion” and anti-“cult” activists have long issued blanket warnings that “the path of the cults leads to Jonestowns.” In those formulations, violence is portrayed as an inherent characteristic of some religions, often in implicit contrast to other, presumably superior, ones. An alternative view argues that violence is the product of discrete and highly contingent interactions. The interactionist perspective appropriately shifts the emphasis from religions to people as actors, and it directs attention to the social processes through which violence is, or is not, generated. As a result, it can lead to a more careful examination of the complex and varied motivations for action that are shaped by religious commitments. The interactionist approach can also lead students to discover the countervailing resources for peacemaking that can be drawn upon by members of religious communities. Scott Appleby, for example, has argued that “strong religions” support a vigorous and multifaceted argument about the meaning of the tradition and consequently have the capacity to move their adherents away from narrow constructions of their religion’s demands towards tolerance and nonviolence. As depressing, enraging, provocative, and repugnant as they may be, incidents of religious violence should be tackled headon, rather than avoided, in religious studies courses. As human enterprises, religions bear all the marks of their creators. Though they may incorporate the noblest goals, they are also indelibly marked by the basest passions. The extraordinary commitment that religions can generate, maintain, and direct can, in certain circumstances, lead people both to suffer and to commit violent acts in the service of their religious principles. That capacity of religion can be used very effectively in the classroom to raise significant and interesting questions about religion and to build connections between what students already know about and what we would have them learn. Appleby, Scott. The Ambivalence of the Sacred: Religion, Violence, and Reconciliation. Lanham, MD: Rowman and Littlefield, 2000. Bromley, David G., and J. Gordon Melton, eds. Cults, Religion, and Violence. Cambridge: Cambridge University Press, 2002. Hall, John R., et al. Apocalypse Observed: Religious Movements and Violence in North America, Europe, and Japan. New York: Routledge, 2000. Juergensmeyer, Mark. Terror in the Mind of God: The Global Rise of Religious Violence, 3rd ed. Berkeley: University of California Press, 2003. Kaplan, Jeffrey, ed. Millennial Violence: Past, Present, and Future. London: Frank Cass, 2002. Also published as a special issue of Terrorism and Political Violence 14, no. 1 (2002). Lincoln, Bruce. Holy Terrors: Thinking about Religion after September 11. Chicago: University of Chicago Press, 2003. Robbins, Thomas, and Susan Palmer, eds. Millennium, Messiahs, and Mayhem: Contemporary Apocalyptic Movements. New York: Routledge, 1997. Wessinger, Catherine. How the Millennium Comes Violently: From Jonestown to Heaven’s Gate. New York: Seven Bridges, 2000. The syllabus for “Cults and Conversion in Modern America” is available at www.aarweb.org/syllabus/syllabi/g/gallagher/1JN2D-Gallagher.pdf.